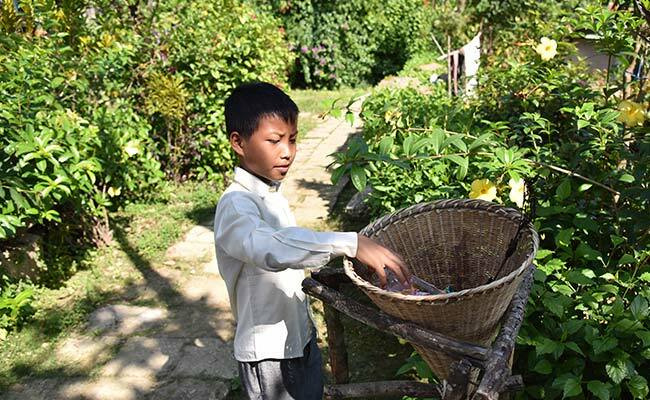 Mawlynnong, India: In the tiny hamlet of Mawlynnong in Meghalaya, plastic is banned and spotless paths are lined with flowers -- but its reputation as Asia's cleanest village has proved a mixed blessing. Until 2003, no tourists visited the remote community of 500 inhabitants high in the mountains, which had no roads and was accessible only by foot. 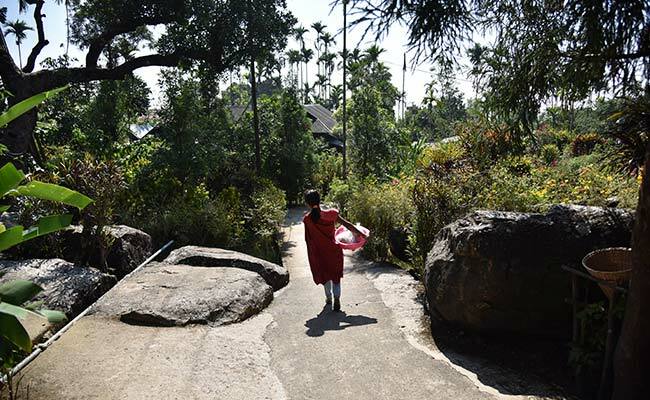 A Khasi tribal villager walks along a lane in the village of Mawlynnong in the north-eastern state of Meghalaya. In recent years, the village has become known for another reason -- its exceptional cleanliness, far removed from the noise and dirt of big cities. A Khasi tribal child uses a bamboo dustbin placed beside a road in the village of Mawlynnong in the north-eastern state of Meghalaya. The trickle of tourists became a flood, with visitors now reaching 250 a day in high season, swelling the village's population by 50 per cent. The village was hailed by Prime Minister Narendra Modi in a radio address last year for its "mission of cleanliness." Deepak Laloo, a former official of the Meghalaya Tourism Development Forum, advised the village in the early stages of its tourism development. "There's no more privacy. A woman is washing her clothes, she's being photographed," he said. 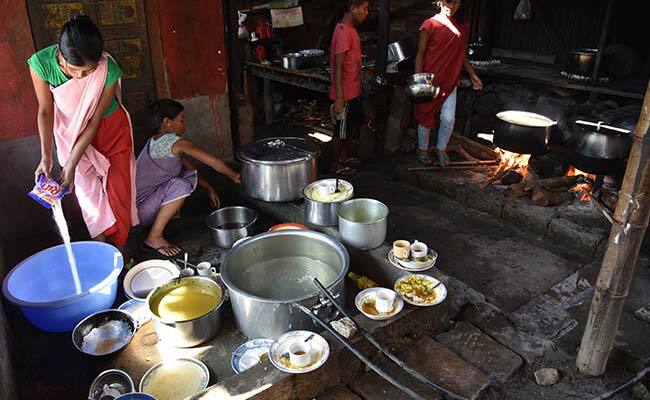 Khasi tribal villagers wash utensils in a restaurant in the village of Mawlynnong in the north-eastern state of Meghalaya.